As you know we provide complimentary video blogs and information through our Smart Decisions about Money series. While this is created to help protect people from Financial Victimization, the only way to be fully inoculated and against scams, fraud and predatory sales tactics is to become a member. I thought it would be prudent to provide an insider video blog to help you get an idea of exactly what we provide members. For the record, members enjoy the benefit of the following: educational webinars and workshops, insider research which is compiled by our staff from 100’s of industry journals, periodicals and newsletters. It would cost you several thousand dollars per year to subscribe to these newsletters not to mention the time spent to do the research. 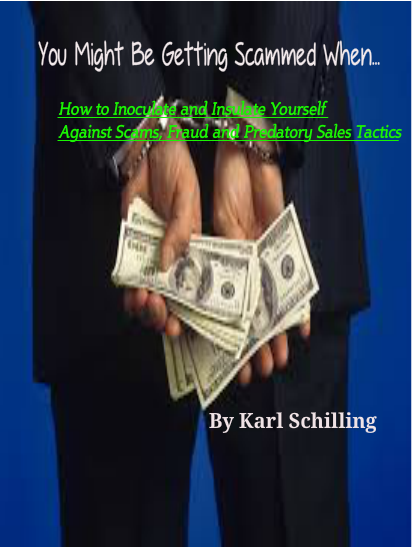 The most consistent benefit of membership is our digital educational platform which is timely and provides you with the most prevalent information needed to become fully aware of the inside tricks and tactics used by sales amateurs and conmen to victimize you or your loved ones. We also provide our members with the necessary financial behaviors that expose you to victimization. As we painfully describe the true perpetrator of any financial victimization is the victim. According to the Securities and Exchange Commission (SEC), “A Ponzi scheme is an investment fraud that involves the payment of purported returns to existing investors from funds contributed by new investors. Ponzi scheme organizers often solicit new investors by promising to invest funds in opportunities claimed to generate high returns with little or no risk.” The Ponzi scheme is a classic scam and incorporates components of other scams as well. 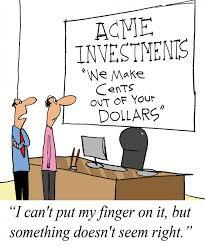 The investment proceeds in this classic scam are simply the new investors monies doled out to existing clients. Without fail, the initiator of the Ponzi scheme siphons money off to fund an extravagant lifestyle. The following affinity scam-Ponzi scheme targeted Persian-Jewish community members in Los Angeles. Shervin Neman raised more than $7.5 million for investment in his so called hedge fund. He promised that the fund invested in foreclosed real estate which would be quickly bought and then resold for a profit. In reality, Neman used the money raised to fund his extravagant lifestyle and pay off new investors. Misrepresentation of credentials is another way financial advisors scam the unsuspecting public. The field of financial planning is ripe for malfeasance because there is not one particular credential or licensing requirement to practice. In fact, there are dozens of financial planning designations such as certified financial planner (CFP), registered investment advisor (RIA), certified public accountant (CPA), chartered financial analyst (CFA) and many more. The public may not be aware of the designations, ethics, or requirements for a certification and thus may be receiving advice from someone with no education, experience, or background in the investment advising field. It’s quite easy for someone to hang up a shingle and start doling out advice. The scammer can then close up shop and walk away with the proceeds or swindle the unsuspecting clients with fake products. In 2012, owners of a Dallas voice over Internet Protocol (VoIP) offered Christian investors, affiliated with a private school, returns as high as 1,000% per year to invest in their company, Usee, Inc. As one would expect, they have been prosecuted by the SEC. There are many other investment scams as well as additional varieties of the schemes mentioned above. Next, find out how to avoid falling prey to a shady investment advisor. The above information is excellent starting point as is always being committed to the process known as due diligence. The advantage of being a member of the Advocacy Network is our ability to provide you with totally non-biased, fully objective due diligence. The time issue alone makes membership the most effective cost basis for professional due diligence. We will fully inoculate and insulate you against scams, fraud and predatory sales tactics and also save you time and money in the process. Become a member today! With all the white noise about finances and the economy you are bombarded with information. Much of this is sadly mis-information and it is promoted through radio show talk hosts, financial media such as popular magazines and periodicals. The authors of this material have ulterior motives in their work product. Many are misdirecting the public for their own financial gain through pump and dump activities in the stock market, others are motivated by advertising payouts. Many times the advertisers are the promoters. The risk of financial victimization is the most pressing risk facing each and every American today. And yet it is never discussed or written about. It is not by coincidence that this pressing risk is basically kept secret. First if the public were totally aware of the fiscal policy within the government and the role of the Federal reserve in such matters there would be panic and that of course would create a collapse of the entire brittle system. Therefore the best solution to keeping people unaware is to make sure they are basically financially illiterate. Does anyone really think it would be difficult to teach financial literacy to elementary students? Would teaching youngsters the truth about credit and budgeting help the government in their perpetuation of a ponzi scheme? Sadly we all know the answers to these questions. Our society is financially illiterate by design not by accident or coincidence. Kindly understand that the key precipitation factor in financial victimization is financial illiteracy. Do you feel like a victim of the banks or like a depositor? Its not for me to judge or determine, yet from a strictly financial literacy perspective depositing money into a CD and locking it up for 3-5 yrs in order to get a taxable 1.5% return is basically financially illiterate. Of course it works out real well for the bank as for every $1 they get from a depositor they can create 10x leverage with. So your $1 allows the bank to create $10 in loans which pay them a 5-10% return. Do the math and consider it strictly from a financial perspective, who is the victim in this relationship? You and your family deserve better and you can have better. We all possess the power and initiative to change this system and make it great for all the participants of society. Your decisions with money can be dramatically altered through education and information. 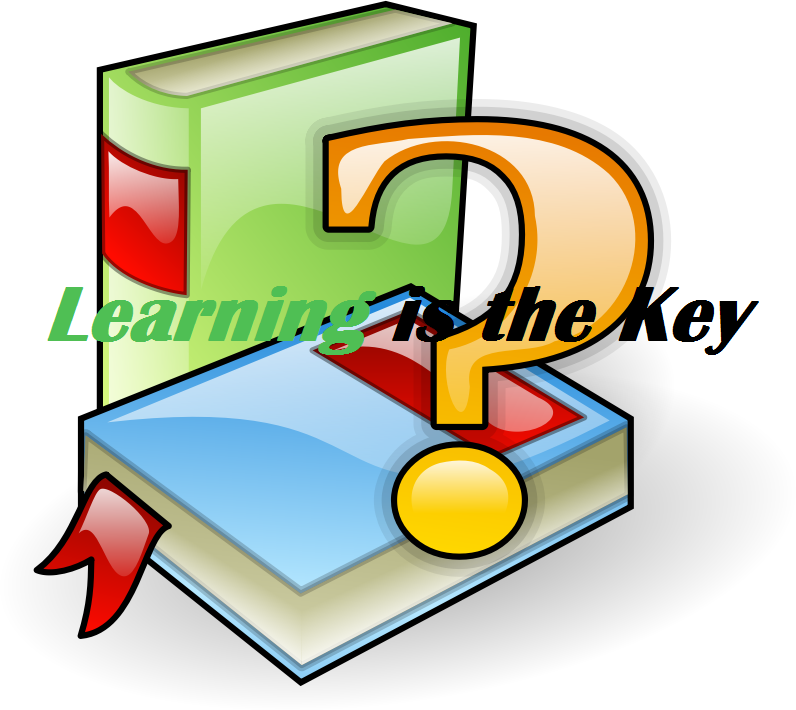 The key is to get the most accurate information in order to make the most well educated decisions. There is much more to expose though the value of Financial Literacy and we at the Advocacy Network are committed to educating not only our members but the public at large in the lessons of Financial Literacy. We believe that this commitment can make the biggest difference in the survival of our society and the fiscal growth of the economy. An educated population who understands the principles of finances will create an economic recovery unlike anything in our great American history. So whether you become a member or not, kindly register for a complimentary Financial Literacy workshop. This will give you the distinct advantage over all of your competition at work, or professional activities. Kindly remember that the vast majority of our society suffers from financial illiteracy and I mean that in the best possible way. Let’s grow together and make a difference today! 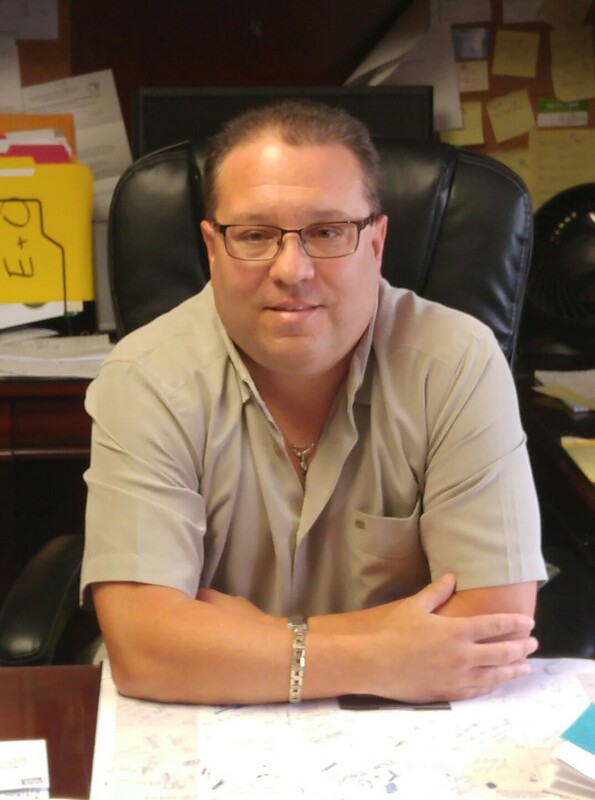 I would like to welcome Joe DeRenzis of JD Financial Solutions & Insurance Group, Inc. Joe is the new Financial Concierge for Sarasota County in sunny Florida. Joe comes to us with 16 years experience in the Financial Services industry. His long record of success includes both building client base as well as recruiting and managing a large national sales force. Joe has agreed to take on the additional role of National recruiting Director for the Advocacy Network’s expansion of the Financial Concierge platform. 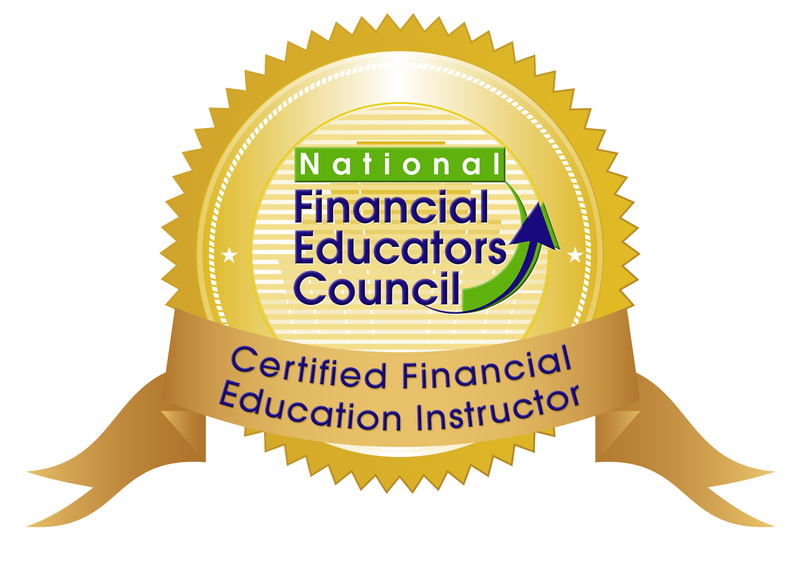 The Financial Concierge is a vital participant in our growth and expansion. The members of the Advocacy Network have the ability to maintain a close relationship with a Financial Concierge who always has the best interest of the member in all financial decisions. This relationship uniquely positions the Advocacy Network as an advocate for all our members. 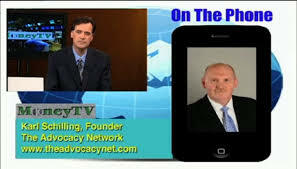 The mission is fully inoculate and insulate the public against all forms of financial victimization. This is the most pressing financial risk faced by Americans today and for the most part it is a silent risk as there is no discussion or public debate on this matter. This is why the Advocacy Network was established, we are the voice for our members and we will be the guardians who ensure our members are never victims of scams, fraud or predatory sales tactics. As our motto says: YOUR Best Interest Is OUR Only Concern. Welcome Joe, we appreciate your passion and commitment to protecting your prospects and clients from the vicious exposure of financial victimization. Our work together will help protect the public from this silent economic threat. How prepared are you for the economic destruction that could rip through every town, city, and state in the U.S.? And how prepared would you be if one morning you wake up to discover that the dollars in your wallet are close to worthless? Most Americans are painfully unprepared. “Those countries that adapt well to the changing economic environment and embrace new developments are most likely to boost high productivity.” According to think-tank The Conference Board of Canada. The socio-political global climate is more connected than ever before and the US and North American investor and consumer has less knowledge of this than ever before. This unfortunately is a definitive formula for failure. The Advocacy Network is committed to inoculating and insulating our members from scams, fraud and predatory sales tactics. While encasing our members in a preventative and protective shield we additionally seek to bring the most transparent and effective strategies to protect and grow your money. We burn the midnight oil doing the research most refuse to do. This work is relentless in nature and 100% counter-intuitive, we pride ourselves in being ahead of the curve and focused on those economic aspects most would like to ignore and conveniently forget. 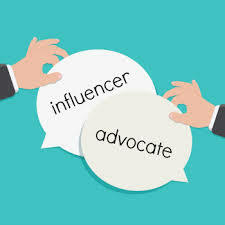 You need an advocate in your corner now more than ever and the Advocacy Network is the right solution at the right time. China holds more U.S. government debt than any other country in the world. They currently hold more than one trillion U.S. dollars. Beginning in 2007, China began to get worried. What if the U.S. collapsed? What if dollars suddenly became worthless? Could they really afford to hold onto $1 trillion forever? If China was worried in 2007, they were downright panicky in late 2008, as it seemed a total financial collapse was imminent in America. China held massive amounts of U.S. dollars, but they couldn’t sell them without causing a huge drop in the dollar’s value. What’s more, China still needed dollars to buy oil. Yet, China understood it was extremely risky to continue buying and holding dollars, so they began to diversify by buying up massive amounts of gold and other precious metals. China bought 490 tons of gold in 2011—twice the amount they bought in 2010. And their gold-buying binge doesn’t seem to be letting up anytime soon. In the first six months of 2012, they’ve already bought 383 tons of gold. At that pace, they’d acquire 766 tons of gold by the end of this year. (In July 2015 China reported they owned 1658 Metric tons of Gold, most world Banks believe this to be well under-reported of China’s true holdings). More importantly, China is following in Iraq’s footsteps. Just as Iraq had planned to trade oil in euros, China began to explore the idea of bypassing the dollar by trading oil directly with oil-producing countries. You see, while the U.S. was willing to attack a small country like Iraq, I don’t see any way that the U.S. would attack a country as large and powerful as China, especially when you consider that China produces most of the consumer products purchased in the U.S.
By trading directly with oil-producing countries, China would then be able to off-load dollars before they became worthless—and still have access to as much oil as they want. Let’s be clear: China’s plans are no longer just plans. (In Oct 2015 China was officially added to the basket of reserve currencies, thus they have made a great initial stride in their strategy to replace America and become the world’s reserve currency). They are now reality. As of September 2012, China and Russia reached an agreement and formally announced that they would begin trading oil directly. Russia will provide oil to China, and China will pay for the oil—not with U.S. dollars—but with yuan. While this announcement has not been widely publicized, it spells the end of the petrodollar. In other words, the U.S. dollar is the world’s reserve currency in name only. Now that China and Russia have abandoned the petrodollar, other countries like Iran, India, Argentina, and Brazil are expected to soon follow China’s lead. And there is nothing the United States can do to stop it! As oil-producing nations dump the U.S. dollar in favor of other currencies, demand for dollars will likely plummet. No longer will nations need billions of dollars on hand to buy oil. And yet at a time when demand for dollars is already drying up, the Federal Reserve is printing more money than ever before! You see, back in early 2009, in the depths of the financial crisis, they told us that the first round of quantitative easing (QE) would solve all the problems. But it didn’t. Then came QE2 in late 2010. We were told billions more were needed to stimulate the economy. Obviously, QE2 was not effective either. QE3 finally arrived in September 2012. But this “final” round of quantitative easing is very different from its predecessors. That’s because QE3 authorizes the Fed to buy $40 billion of mortgage-backed securities every month until the economy gets better. As QE3 pumps billions of dollars into the U.S. economy each month, we will see inflation begin to take hold. I already see the price of gas and food increasing. This will get worse with each month that passes. China could be getting ready to dump their U.S. dollars. Their new trade agreement with Russia practically guarantees that other oil-producing countries will soon be dumping dollars, too. At the same time, the Fed is creating new money at an astonishing rate. This money is already causing inflation. Demand for U.S. dollars is going down. The supply of U.S. dollars is going up. Mention the word “hyperinflation” and most Americans scoff. Hyperinflation is something that only happens in places like Weimar, Germany or Zimbabwe—but not the United States! We hate to burst your bubble, but hyperinflation is nearly inevitable at this point. We’ve crossed the Rubicon and there’s no going back. Just look at the price of corn and wheat—they’ve skyrocketed a whopping 18.5% and 39.5% respectively since the beginning of 2012 alone! And hyperinflation couldn’t come at a worse time. What’s more, the official U6 unemployment rate (which includes people who have given up looking for work and people who want full-time jobs but who are stuck with only part-time jobs) has held steady for months at about 15%. Make no mistake. The Ponzi scheme called America is about to reach critical mass. The fuse has been lit. And there isn’t much time left. When the Ponzi scheme finally explodes, the economic carnage that follows could happen almost instantly. There are many who believe it will happen far faster than the fall of Rome. And it will be much, much bigger than the banking collapse of Iceland in 2008. And while America’s collapse may not happen in one literal hour, it will happen so fast that most people will have no time to react. Already we’re seeing major cracks in America’s economic foundation. In a single day, on October 31, 2011, the commodities brokerage firm MF Global collapsed, wiping out $1.6 billion in customer money. In many ways, MF Global represents the rotten underpinnings of the American financial system. When the Ponzi scheme finally gives way, it will collapse as quickly as MF Global did. One day, it existed—and the next day, it was gone. It is truly remarkable that the Federal Reserve has been able to continue running its Ponzi scheme for as long as it has. While most people have been oblivious, many people throughout history have seen the Fed for what it is—including the President that authorized its creation. As with all economic disruption based events there is a silver lining for those who counter-intuitively seek out the proper strategies to survive and profit from any fiscal disaster. In Pt 3 we will discuss this possibility. In the year 1910, a small group of the world’s most powerful men traveled to New Jersey and boarded a train. Secrecy was of utmost importance. Nobody knew about their plans. Even their families were given false stories so they would not know where these men were going. After boarding the train, the men traveled hundreds of miles south to Georgia, and eventually made their way to Jekyll Island for a secret meeting. The only people present on the island were these few men plus a handful of servants. Each man was sworn to secrecy. The men did not want even the servants to know their identities, so while they were on the island, they were permitted to call each other by their first names only. The use of last names was strictly prohibited. It’s because these men had arrived at Jekyll Island to discuss the creation of a central bank that would have the authority to create money and loan it out at interest to the American people. Previous attempts to create a central bank had been unsuccessful. But this time, fate was on their side. The secretive Jekyll Island meeting ultimately led to the creation of the Federal Reserve. The Federal Reserve Act was passed three years later on December 23, 1913, when President Woodrow Wilson signed it into law. The Federal Reserve Act not only established the Federal Reserve—an organization owned by a group of private banks—it also gave them the authority to create money and loan it to the United States government. Before the creation of the Fed, the U.S. government created its own money and did not have to pay interest on the money it created. After the Fed was created, the U.S. no longer created its own money. Rather, they relied on the Fed to do it for them. Not only that, the U.S. was bound to pay interest on ALL the money the Fed created. And Thus Began the Biggest Ponzi Scheme Recorded in History! When the Fed loans money to the U.S. government, it expects to be repaid with interest. To illustrate how this works, let us assume that there is no money in circulation and that this is the very first day the Fed will create money for the U.S.
Let us say that the government needs $1 million. They ask the Fed for $1 million, and the Fed prints it into existence. The Fed then explains that the $1 million must be repaid with interest. If the Fed creates $1 million and loans it to the U.S. government, how exactly can the money be repaid with interest? After all, there is only $1 million total in circulation. The best the government can do is return the money, dollar for dollar. But the Fed demands interest. And so they create more dollars and loan those to the U.S. government as well to enable the repayment of the initial loan with interest. Basically, the U.S. government is paying back old debt with new debt! At first, this process works slowly. The total amount of money in circulation grows. And the debt grows at the same time. The debt always exceeds the amount of money in circulation because that is how the system works. Obviously, it doesn’t take long before this process picks up momentum. More money is created faster and faster. The U.S. debt grows bigger and bigger. And at a certain point, the whole scheme can no longer be maintained. Since 1913, America Has Been Built on a Ponzi scheme! 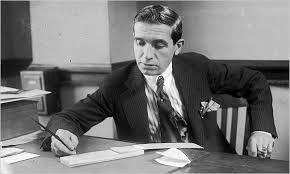 In case you don’t know, the term “Ponzi scheme” is named after Charles Ponzi, one of the greatest con artists and swindlers in American history. But no profits are ever generated in a Ponzi scheme. Early investors are simply paid with the money from later investors. When there are no new investors, the scheme collapses and all the late investors lose everything. The relationship between the Fed and the U.S. government mirrors that of a Ponzi scheme. Early debt is paid back with new debt—until the debt grows to an unmanageable size and the whole thing collapses. In 1944, the U.S. dollar became the world’s reserve currency with the creation of the Bretton Woods System. The dollar would be backed by gold, and all other countries would maintain a specific exchange rate by tying their currencies to the dollar. Nixon’s actions effectively ended the Bretton Woods System, which meant the dollar was now a pure fiat currency with nothing of value to back it. It also meant that other countries could no longer exchange their dollars for gold. This could have destroyed the dollar if not for the efforts of Henry Kissinger, who negotiated a deal with the House of Saud to sell oil in only U.S. dollars. Other oil-producing countries soon followed Saudi Arabia’s lead, and thus began the era of the “petrodollar.” The new petrodollar was not backed by gold, but it was backed by oil—a valuable resource that every country on planet Earth needs. Naturally, demand for dollars was restored as other countries began to hoard dollars in order to buy oil. The new oil-backed dollar has lasted a long time—from 1973 all the way up to this year. But something happened in September of 2012 that practically guarantees the dollar is finished. Most Americans don’t have a clue about what I’m about to tell you. But it’s 100% true, and it could have a huge impact on you in the very near future. Back in the early 2000s, Saddam Hussein began to talk about bypassing the U.S. dollar and trading oil in euros. The U.S. knew this could be catastrophic for the dollar as it would signal the end of the petrodollar. Thus, the 2003 invasion of Iraq terminated any plans Hussein would have and delayed the dollar’s fate for another nine years.